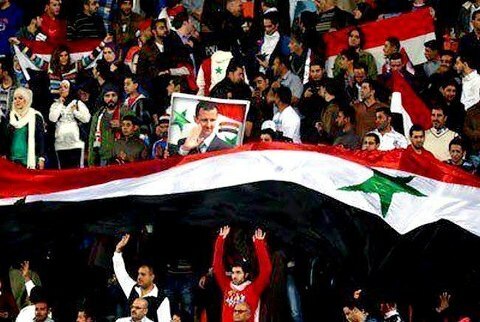 Despite all the suffering, the fierce media campaign, the assassination of athletes in the country, there seems nothing can stop the Syrians. Syrian football (soccer) team won their country the 2012 West Asia Football Federation championship yesterday after wining against Iraq 1 – 0 in the finals. 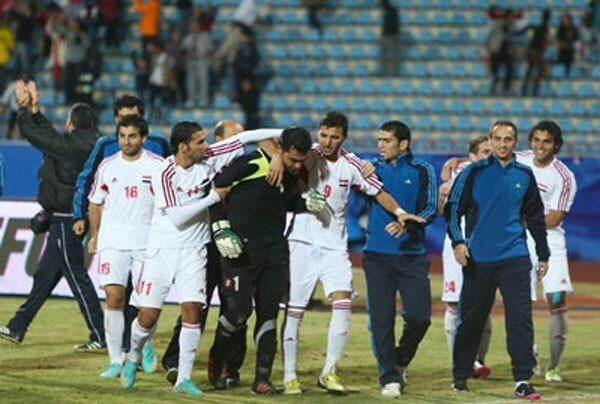 Bashar Muhammad, Media official accompanying the team: “Syrian audience were not allowed to sit in the main podium in order to hide them from cameras showing their support of their national team, raising the Syrian national flag, our team was under increasing pressure especially with each win, and was fought by ‘petrodollar’ media”. 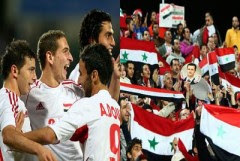 NATO media tried their best to strip the Syrians their rare joy in the 21 months blood bath imposed on them in their country by Al Qaeda FSA terrorists launching suicide attacks and raiding cities & villages from their bases in Turkey, increasing the dose of propaganda news of fake victories by Al Qaeda FSA terrorists, but news of the victory spread like fire in hay among the Syrians all over the country, many celebration took place at homeland. 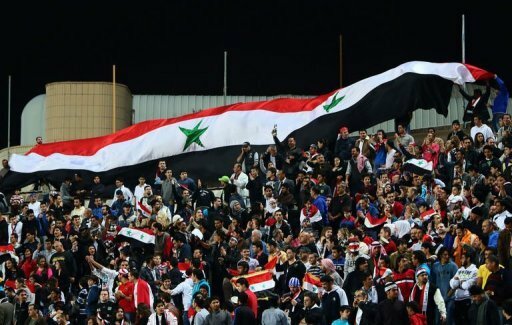 Some opposition members, the people with hatred as a future program for Syria, went far to the extent they infiltrated the stadium with the French occupation flag of Syria with the green color and tri-stars resembling how they wanted to divide Syria into 3 sectarian based emirates. Italy Used ‘Diplomacy’ to Free an Italian Held by al-Qaeda in Syria! 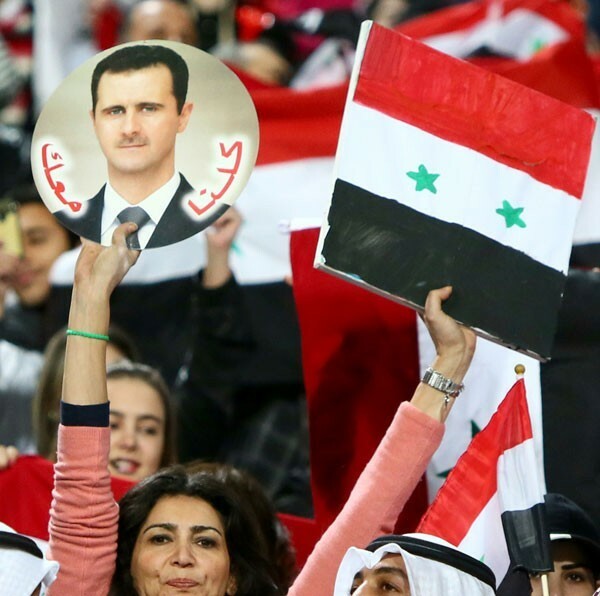 Putin’s Latest Favor to Israel on the Account of Syrian Blood, Bad!